According to UNICEF, disasters have affected close to 1.5 billion people in the last decade. Nearly half of these are children. Those of us who are parents know that children need more than just food, shelter and medical care. They need hugs, help and hope, emotional care as well as physical care. Child trauma is just as important to survival as other needs but is often forgotten. Some of these children have seen things, experienced things, and heard of things that children should never have to endure and bear the scars not just in flesh but in tender hearts and minds. In disaster zones, refugee camps, and orphanages around the world compassionate workers struggle to keep up with the overwhelming numbers of children who need trauma care. Untreated, psychological trauma during childhood can adversely affect physical and social development of the child. This is where OperationSAFE is making a difference and so can you. Using principles of psychological first-aid, local volunteers can be trained rapidly to help children be safe, secure and relieve stress and fear after a disaster. 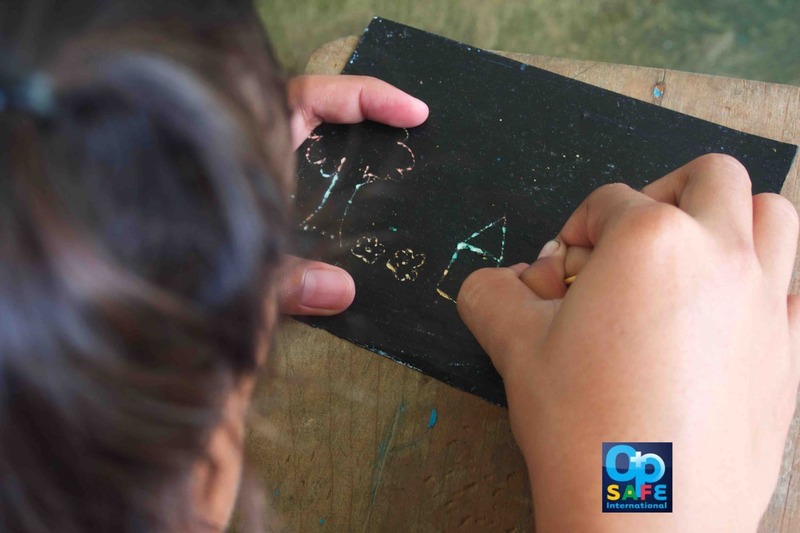 Because OperationSAFE is community based, trained volunteers continue to be available to help children long after other disaster relief efforts have finished and aid workers have gone home. OperationSAFE teaches children five important principles to emotional recovery and even survival after trauma. A proverb states “The spirit of a man will sustain him in sickness, but who can bear a broken spirit?” With stories, crafts, songs, and games, children learn at their level, make friends, share their experiences and regain hope. Children learn how to recover from trauma at their level, with activities designed to be friendly and engaging. Easily run by volunteers and coordinated by locals, OperationSAFE frees up professional counselors to work with the most severe trauma cases and helps identify which children need the most help. Our goal is to train psychological first-aid volunteers around the world to help children who have been through trauma so that every child who needs emotional care will receive the hugs, help and hope that they need.